UPDATE: Deputy State Fire Marshals are continuing to investigate the fire that took the life of 70 year old Robert Henry Munson, Jr., on November 1, 2018, at 8916 Erie Avenue in North Beach . Calvert County Sheriff’s Office confirmed the victim’s identification. The Office of The Chief Medical Examiner currently has the cause of his death as “pending” as they wait on results of additional lab reports. This is all the information available at this time, and additional information will be released once it becomes available. 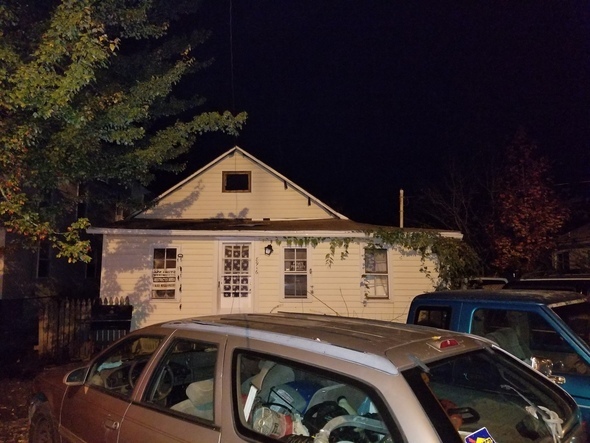 11/2/2018: Deputy State Fire Marshals are conducting an origin and cause investigation of an evening fire that occurred on Thursday, November 1, 2018, in a one story single family dwelling located at 8916 Erie Avenue in North Beach. The property is owned by Reba Childs. However, the house was a rental and there were two occupants currently living at the residence. A 911 call was received at approximately 6:05 p.m., from a passerby who discovered the fire. 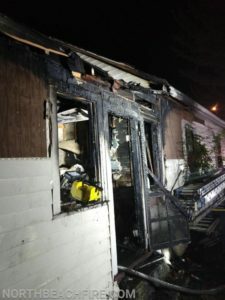 Firefighters from the North Beach Volunteer Fire Department responded to the one alarm fire with with approximately 45 fire personnel from surrounding Departments. It took firefighters approximately 15 minutes to bring the fire under control. The damage monetary loss was estimated at $70,000 to the structure and approximately $15,000 to the contents. Once the fire was extinguished firefighters found a deceased adult male occupant in the residence. It is unknown if the smoke alarms were working at the time of the fire. The area of origin is in the kitchen and the cause is currently under investigation. The victim was transported to the Office of the Chief Medical Examiner in Baltimore for an autopsy to determine the exact cause of death. The victim’s name is not being released at this time pending identification and notification. The Calvert County Sheriff’s Office Criminal Investigation’s Division is assisting with the investigation. The Red Cross is assisting the additional occupant. This is all the information available at this time. Additional information will be released once it becomes available. This entry was posted on November 7, 2018 at 9:12 am and is filed under All News, Calvert News, County, Fire & Rescue, Law Enforcement, Top News, z 600X120 Top Ad Bottom, z 600X120 Top Ad Top. You can follow any responses to this entry through the RSS 2.0 feed.